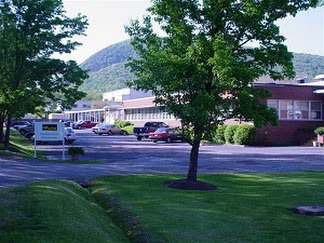 The Alleghany Highlands is a natural choice for advanced manufacturing firms in the packaging and plastics sectors. Why? A skilled workforce, a state-of-the-art training program, an existing cluster and available properties. Layoffs and plant closings in the first decade of the century put skilled workers in the pool of available labor. A recent, independent workforce availability report (by The Pathfinders) estimated there are 8,700 underemployed workers who want to upgrade to a better job. And possess the skills, education and experience to do so. Approximately 2,900 people work in the packaging and plastics sector, 37 percent of the total employment in Alleghany County and Covington City. Balchem Corporation: Science-driven nutrition company dedicated to the health and wellness of both humans and animals. Carris Reels: Packaging for the magnet, insulated, and fine wire industries—in addition to custom molding and extrusion for the automotive, industrial, and consumer markets. D & B Technologies: Plastics pelletizing. Gala Industries: Pelletizing and centrifugal drying systems for the plastics and petrochemical industries. Schaefer Rolls: Offers the paper industry a full range of services. WestRock: Packaging solutions and products for the food and beverage, media and entertainment, personal care, cosmetic and health care industries. WestRock Converting: Converted paper products. Standard Printing: Commercial lithographic printer. Sonoco Products: Round cores and tubes for the paper mill industry. The region’s commitment to growing the packaging and plastics sectors is evident by the state-of-the art education and training programs developed by Dabney S. Lancaster Community College. With input from local manufacturers, and after studying the best practices of similar programs, college officials created the Virginia Packaging Applications Center as part of its Advanced Manufacturing and Packaging Technology certificate program. VAPAC offers a state of-the-art training lab for students enrolled in AMPT courses and allows students to have extensive, hands-on skills practice. Served by municipal utilities, Dominion Virginia Power and Lumos Networks (fiber is available).